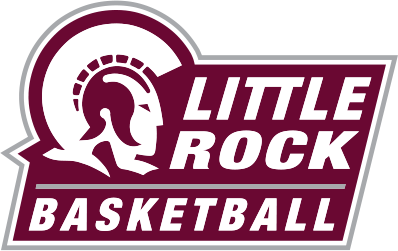 In an epic championship game, number-one seed Little Rock (LR) won against two-seed Texas State in the Sun Belt Tournament tonight. LR edged out a one-point, 54-53 victory at the Lakefront Arena in New Orleans. With the victory, LR won its fourth Sun Belt Championship, the most for any team in the conference. This was the first time both teams met in the championship game, with LR entering 9-5 all-time versus Texas State. LR started the game defensive-minded. The Trojans shot 60% from the field and a perfect 2-2 from deep range in the first quarter, while holding Texas St. to 17.6% from the field and 20% from the three-point line. LR led 20-7 going into the second quarter and continued its hot shooting and stellar defense, taking an 18-point, 38-20 lead into halftime. LR’s Monique Townson led all scorers at the half with 12 points. The Bobcats shot better in the third quarter and tightened up defensively, bringing the deficit to eleven, 48-37, entering the fourth quarter. Both teams were held scoreless in the quarter until Ronjanae DeGray hit a jumper at the 7:57 mark to extend the lead to 13. That’s when Bobcats senior guard Taeler Deer took over. Deer scored eight of Texas St’s next 11 points, making it a two-point, 48-50 game with 4:53 remaining. After both teams traded baskets, Texas State’s Toshua Leavitt hit a three to give the Bobcats a 53-52 lead with 3:22 left in the game. With 2:30 left in the game, Townson made a lay-up that would end as the game-winner to cap her Sun Belt career. She finished with 17 points, eight rebounds, and two assists, sealing the championship and an automatic NCAA tournament bid. LR’s next opponent will be revealed on Monday at 6 p.m.